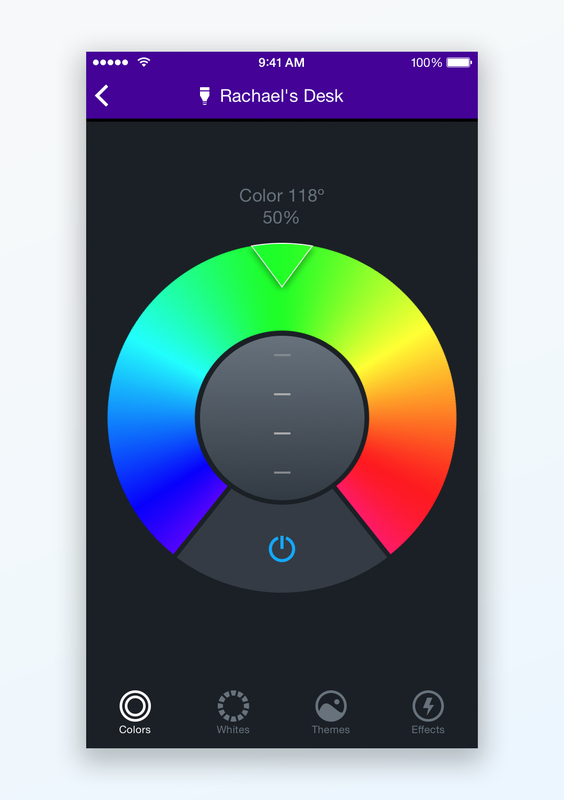 The original LIFX app had the same simple text list design for over 2 years, with minimal interface changes. 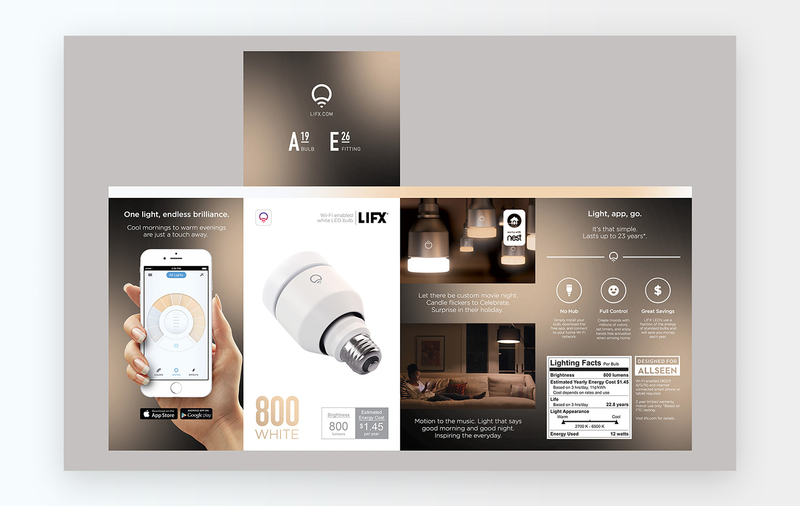 Over the years however, the LIFX app itself had many feature additions, including custom Scenes and Schedules for your home automation, which were unfortunately buried within the old interface. 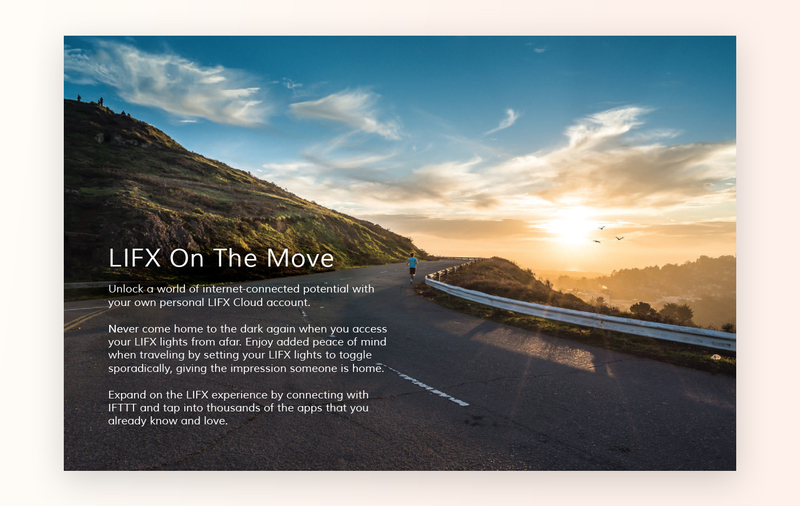 As the app had been unchanged for many years, it was important to improve the user experience without removing functionality customers had become accustomed to. 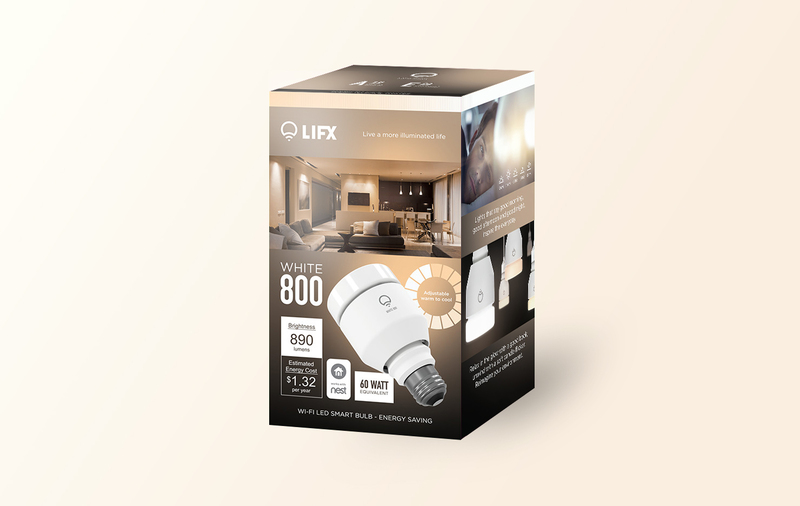 The design had to be focused on the base ability: Turning on one or many lights with a single touch. 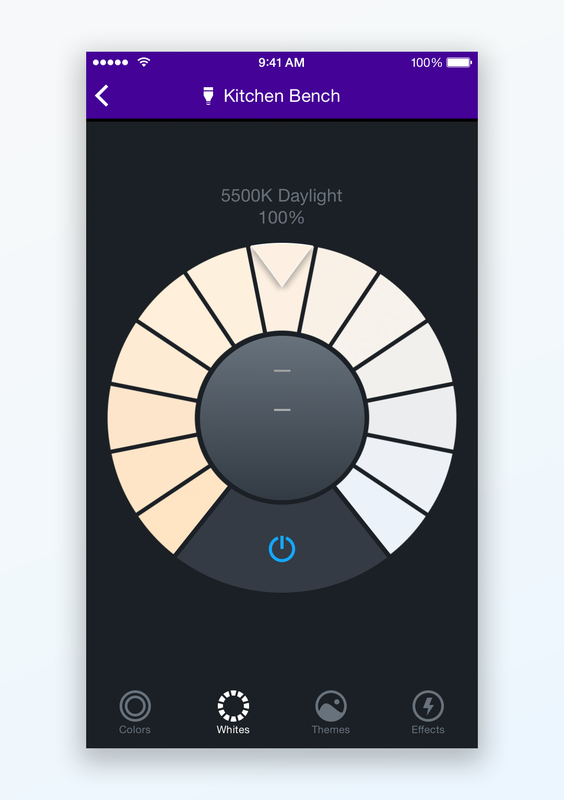 If you play with the colours of your lights each day; Save a Scene so it’s only one tap to turn it on. If you turn that scene on each day at a certain time; Set a schedule so it does it for you. 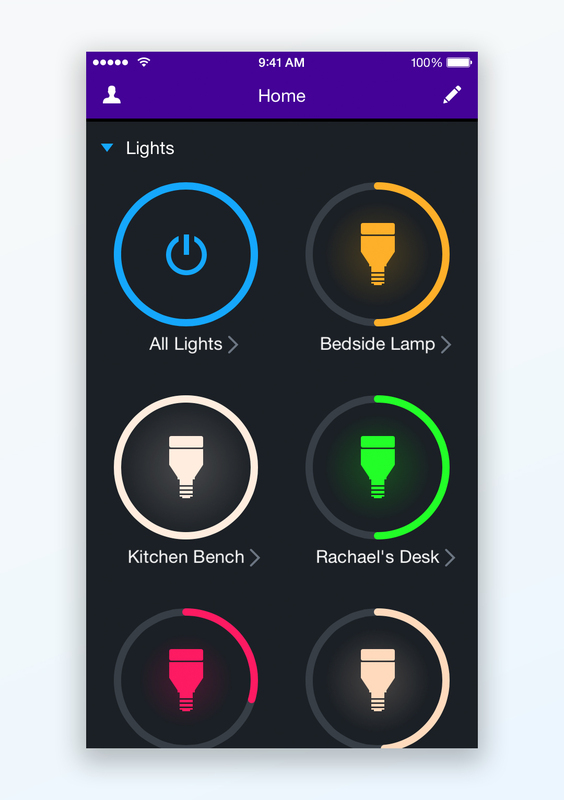 Automate waking up with your lights and coming home to a lit house without needing to reach for your smart device. This redesign brings the Scenes, Schedules and Integrations to the main list, into helpful collapsible modules. 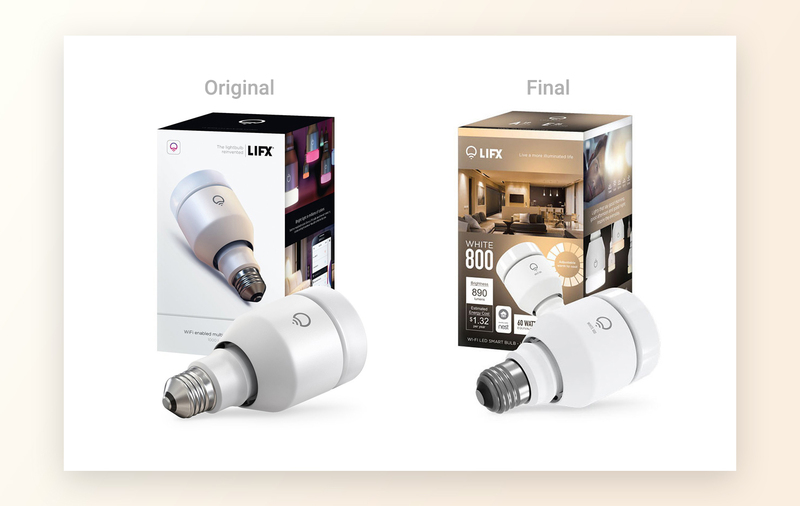 During my research, I found that the trend in lightbulb packaging appears to be simple, often without character or warmth. 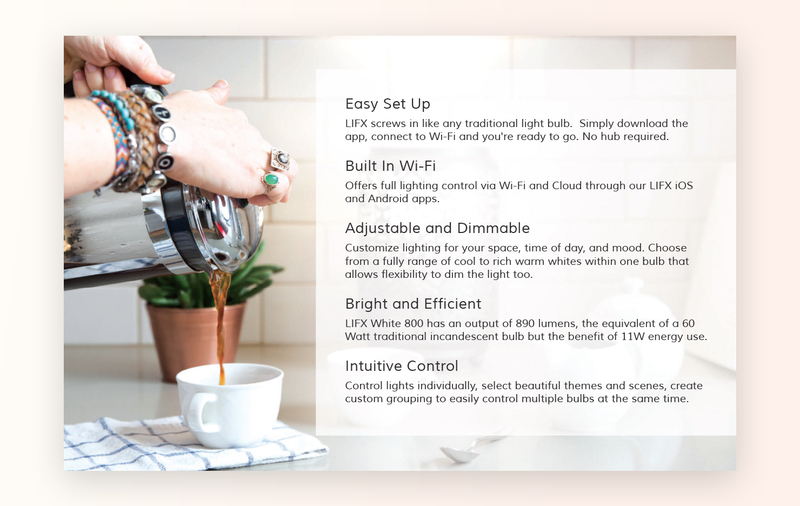 There was rarely a focus on the benefits, often only a physical product shot against a flat colour. The redesign of the packaging aimed to set our product out from the herd by exploring warmth and something new. 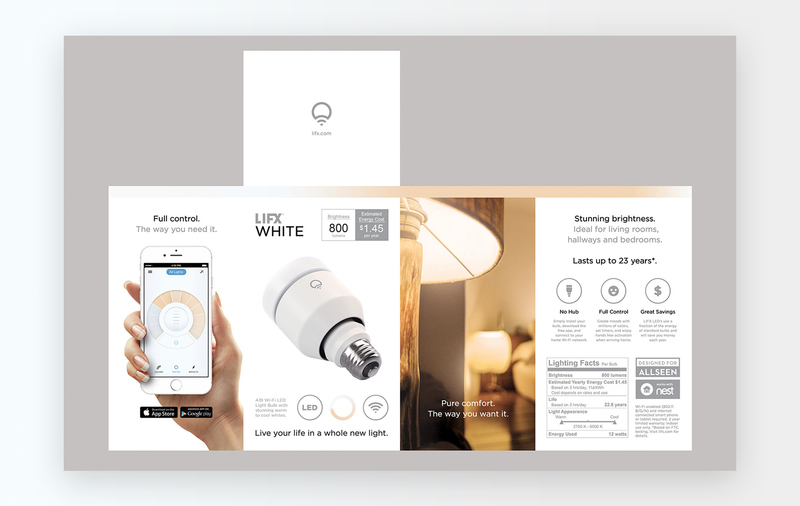 The packaging went through 7 iterations, taking in feedback from unique customers and the internal team. We were able to speak with our merchants and get their valuable opinions based on their experience in stocking shelves and in-store layouts. 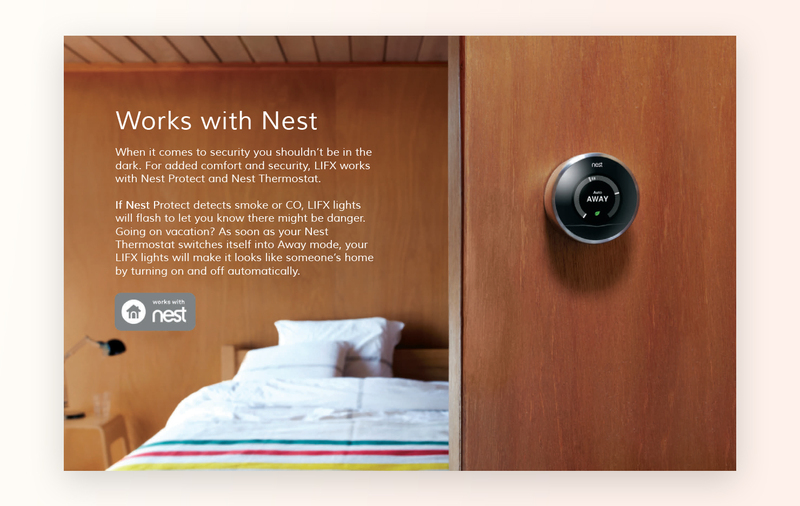 A few of the key iterations are featured. 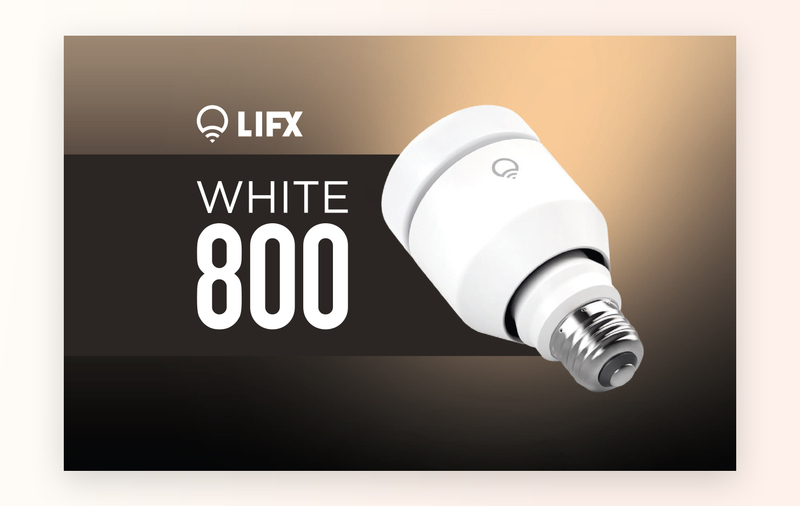 As the LIFX bulbs were WiFi connected products, they needed a focused and clear marketing strategy. 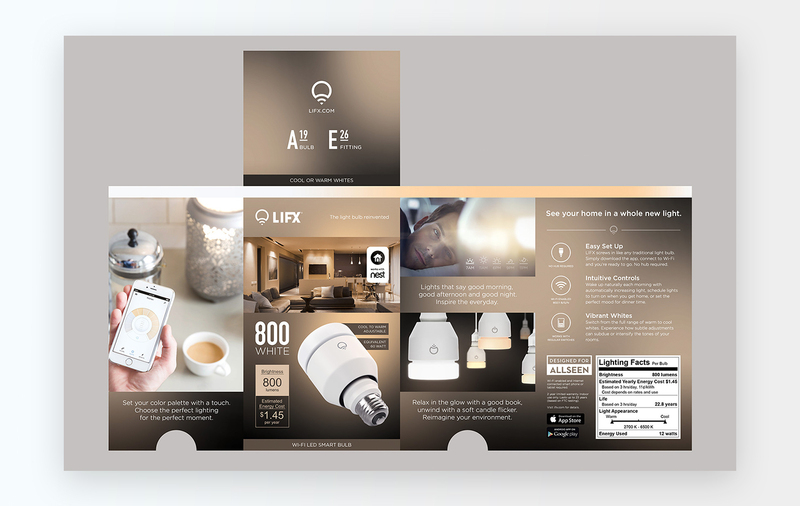 One of the angles was creating traditional marketing booklets that could be referenced by the merchants and sales floor employees to speak to. 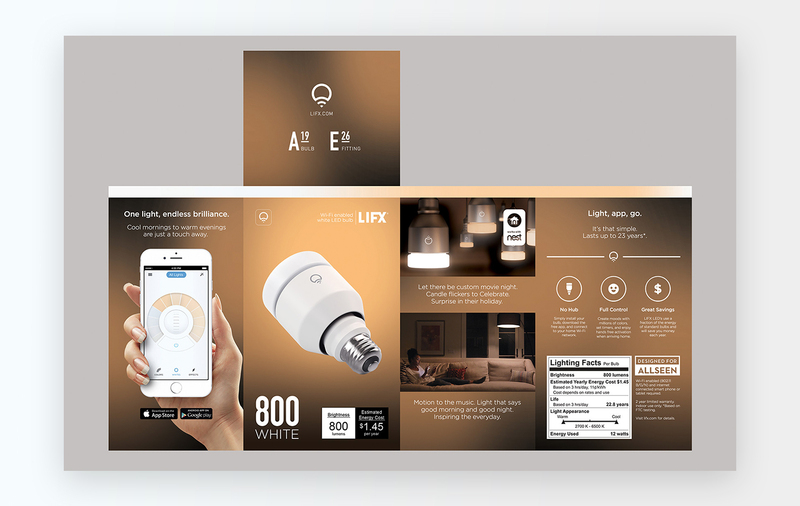 This booklet resonated well and was able to field the basic questions while at the same time inspiring customers into purchasing a LIFX product. Some of the pages are featured below.